Director V K Prakash's adaptation of William Shakespeare's Hamlet titled Karmayogi, opens today (March 16). Meanwhile, debutant director Sugeeth has chosen the breathtakingly beautiful Gavi as the location for his multi-star cast musical, Ordinary, which will hit the cinemas tomorrow (March 17). We take a look at the Malayalam films. Karmayogi has been some time in the making which the director says is due to "our scheme of things where serious movies get sidelined mercilessly". The story is set in northern Malabar and though it is a period drama, the exact period is not specified. 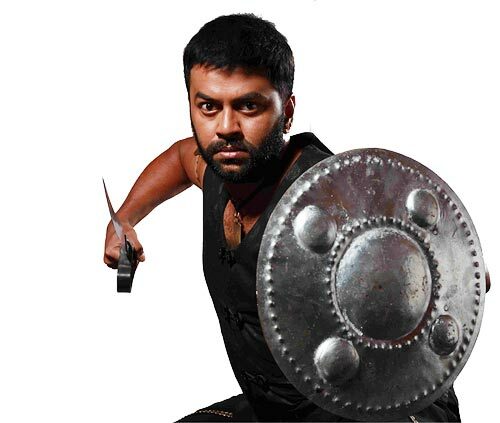 Rudran Gurukkal (Indrajith) belongs to the Yogi clan, who practice an art form called Kelipaathram. After the death of his father Rudran Valiya Gurukkal (Indrajith, in a brief second role), he is going through tremendous mental turmoil as his mother Mankamma (Padmini Kolhapure) has married the wily Bhairavan (Thalaivasal Vijay), her husband's brother. "The unending conflicts in the mind of Rudran Gurukkal are the highlights of the film. It feels great to be part of this movie which gives an opportunity to explore yet another different character," says Indrajith. Nithya Menen plays the heroine. Asokan, Manikkuttan and Saiju Kurup are also in the cast. The script is by Balram Mattannoor, who scripted Jayaraj's Kaliyattam based on Shakespeare's Othello. The cinematographer is R D Rajasekhar and the music director is Ouseppachan. Karmayogi is being produced jointly by Innostorm Entertainment Group, Trends Ad Filmmakers and Creativeland Pictures. Eravikkuttan Pillai (Kunchacko Boban), the conductor of a bus operating from Pathanamthitta to a fascinating village called Gavi, is the lead character in Sugeeth's Ordinary. Biju Menon plays Sukumaran, the bus driver. A dam operator in Gavi called Bhadran (Asif Ali), a post woman called Anna (Ann Augustine) and a 'smart girl' named Kalyani (Shritha) are the other main characters. Both Kunchacko Boban and Asif Ali want the film to be a success to cement their stature as young heroes in the industry. Shritha is being launched here and Ann Augustine has been going through a roller coaster ride in her career after her debut film, Elsamma Enna Aankutty. The cinematographer is Faisal Ali and the music director is Vidyasagar. Rajeev Nair produces the film under the banner, Magic Moon Productions. Review: This Spanish Masala is bland!